I’ve dined out and had polenta chips and they were super delicious! I love getting inspiration from food I’ve eaten out for ideas of what to recreate at home. 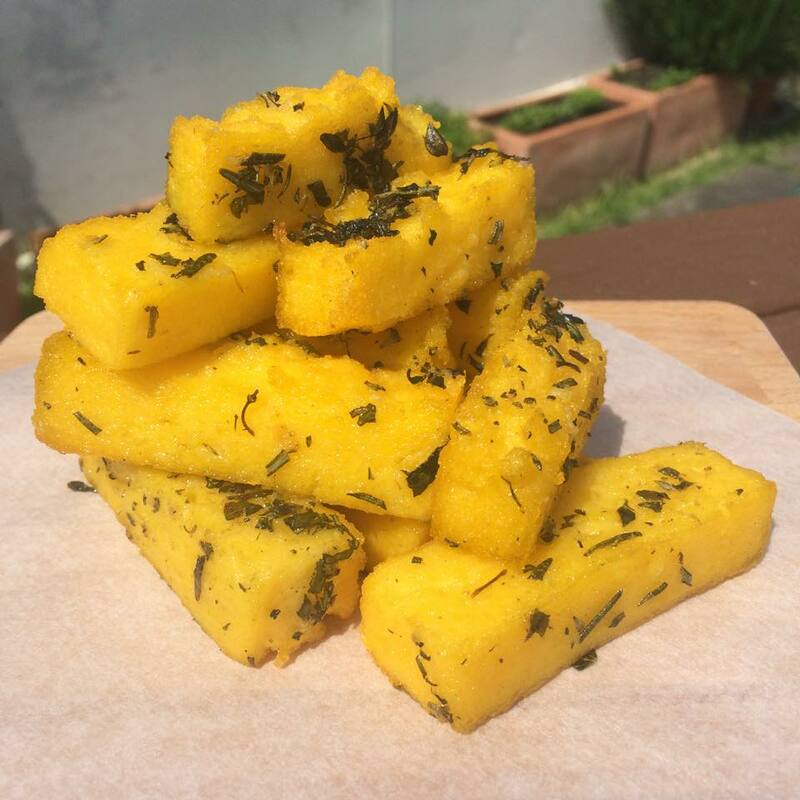 I have never cooked with polenta so I followed the packet instructions to see how it would go and I was quite happy with the result. I wanted to make a healthier version of these and also ones that my body would be okay with so there is no dairy and they are also baked not fried! Here’s what I did. Bring 3 cups of water with salt to the boil. Once boiling, whisk in the polenta and reduce to a low heat. Continue to whisk until mixture is thick and uniform. Total cook time was about 5 minutes. In a small bowl, combine the Nuttelex, herbs and garlic. Dip each chip in the mixture and then place on a lined baking tray. Repeat until desire quantity is reached. Bake for 45 minutes. Make sure to flip the chips a couple of times to ensure they are crispy on all sides. Serve with dipping sauce of choice!